Merriam Webster defines sparging as: to agitate (a liquid) by means of compressed air or gas entering through a pipe. A simpler explanation is: sparging is the injection of a gas into a liquid. The method used to expose the gas to the liquid varies and these systems are called aerators, bubblers, carbonators, diffusors or injectors. The most recognizable example is the bubbler in a fish tank. Where Sparging is Used The sparging of CO2 and O2 in bioprocessing controls the pH and dissolved O2 levels required to maintain the ideal fermentation environment in bioprocessing. The control of the pH by sparging is also utilized in water treatment and many refining processes. Removal of contaminants that are absorbed by a sparged gas (stripping) is critical in many medical and purification applications. Sparging in the Food & Beverage Industry Though sparging applications are plentiful in many industries, the applications in the food and beverage industry impact our daily lives. Carbonating sodas and beer is an obvious application. Spargers are used extensively to lower the O2 content in order to increase the shelf life of juices, oils and processed foods. 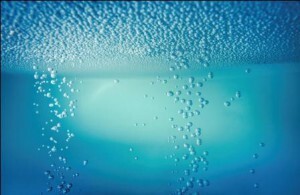 The injection of gases for foaming or increasing bulk volume is common in dairy processing and can be seen on the store shelves as whipped or light. Here in California wine country, sparging is critical to controlling the oxidation processes that determine the subtle variations in wine taste and aroma. The Need for Precision Flow Control When Sparging The benefits of controlling critical process variables to tighter ranges are driving the need for precision flow control in sparging applications. Brooks Instrument supplies products that measure the sparged gases and controls the rate that the gases are exposed to the liquid. Our SLA5800 Series Mass Flow Controllers & Meters (MFCs) offer high accuracy over a wide range of flows and pressures, while the SLAMf Series Mass Flow Controllers & Meters are engineered with a NEMA4X/IP66 enclosure for installation in environments where dust, moisture, temperature extremes or wash-down requirements are an issue.